← Week Two: progress (and giveaway)! Let me show you a few. when I created with glue. When TAAFOMFT prompted me to scrap about my favorite poem, I knew right away which one I wanted to use. Have you heard this poem?! It’s a simple Dr. Seuss one that has so much meaning. What do you think? I used the I Do line from American Crafts, and I think this non-wedding layout turned out well even though I used wedding papers, hehe. Anyway, we’d love to see you scrap your favorite poem with us over at TAAFOMFT. Join us for your chance to win! …and I finally had the chance to use another sketch from Sketchy Thursdays. It had been a while since my last time participating, so I created a couple layouts using the current sketch. As for me, I have tons to do today. Figure out how to use my new phone. Create, create, and create some more. Go to the post office to mail out a couple of layouts for publication. Organize and schedule ahead on my calendar. What does your Wednesday look like? Okay so I’m laughing at you post title!! I’m reading it thinking …what???!!! I just love your doggie layouts!!!!!! I have 4 dogs and am always looking for “that perfect” inspiration 🙂 Love the alphabet soup papers by MME!!! 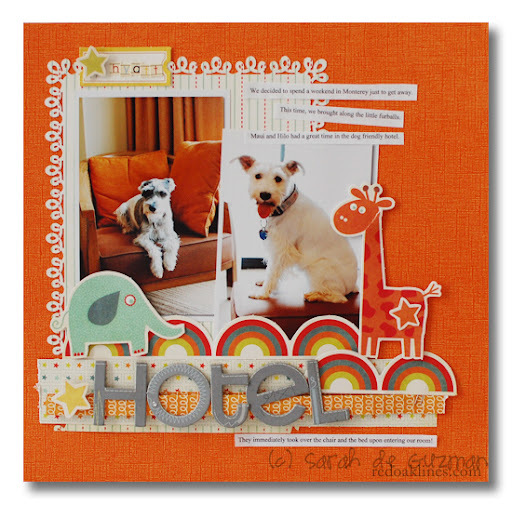 Super cute layouts! I love the funky border punch in the hotel one….which brand is that? I love the poem and LO’s. Wednesday…..at work, daughter has a 12pm OB appt….she was 4cm on Monday so hopefully she will be admitted and I will have a new grandson today! Have a great day! love your layouts btw….your poem rocks (wink)…..today i’m doing laundry, filling out paperwork to volunteer at my kids school, shopping for non-highwater pants for gabe, and hopefully playing in my scrap room! you’re busy girlie! SO cute! My Wednesday is blissfully UNBUSY! My hubby is getting the girls after school so I get to just chill…yay! Love the layouts!! They are all fantastic! My Wednesday is not as busy as yours. LOL I need to price things for my yard sale, go to the school and see if they would like to do a fundraiser with me. That is going to be hard since I’m the fraidy cat. The worst that could happen is they say no. Then send email link to my Avon customers for their campaigns. 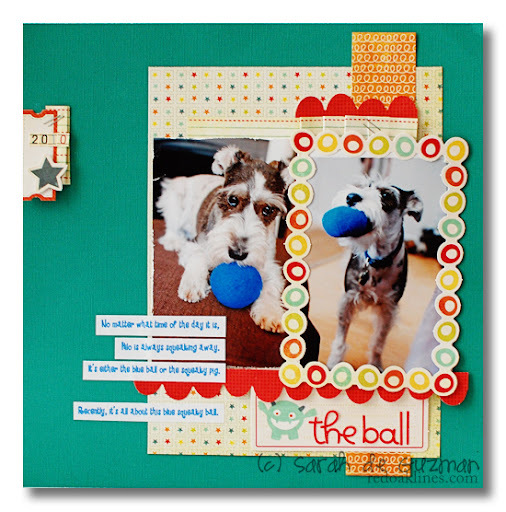 That’s about it for my Wed.
Love – love – love the doggie layouts and the Poem layout just adorable!!!!!!!!!! great layouts! Sounds like you have a busy day ahead of you. I am stuck at work until 4, then it’s an hour on the bus home, followed by 30 min on the treadmill, dinner and some netflix time with the hubby and dog. That’s my Wednesday. Hope you have a great day! Living in San Diego, we all love our Dr. Seuss! Yes, we think of him as ours!!! Love all the layouts and I mean it (anyone want a peanut?) Okay, now I’m channeling Princess Bride. Have a great day, sounds like a busy one! Love your new projects. The fun, bright papers are just perfect. And that Dr. Seuss poem is definitely a fave of mine. Sounds like you have a crazy busy day. How did I never hear this poem before? So cute. Love your layouts. My Wednesday means day off, 3 layouts created already, maybe mowing lawn later today. Great layouts!! Love the energy and color in them… I gotta get my hands on some of Minds eye’s papers!! Mine’s not as busy as yours, I’m working until 5 and then hanging out with Audra and her little guy. I am in love with that mostly orange page!! Wow! Love it!! 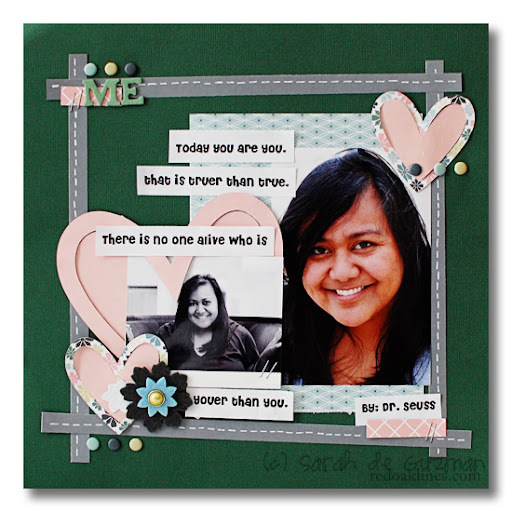 Super cute layouts! Love seeing photos of your furbabies. Alphabet Soup is on my list of must-haves from CHA… only I still don’t have it! LOL! Beautiful poem Sarah! Love that one! Loving all of your layouts, so colorfull!That paper looks fantastic! Love the punced edges! I LOVE both of these layouts! The doggie layouts are fantastic-of course we are doggie people here. But the quote layout really spoke to my heart.Awesome! Love your fave things poem! Great choice. And the hotel layout has me drooling — those colors are beautiful! I heart orange.